Do you wish you understood your dreams better? What does it mean to dream about your house, your family, or a wild animal? Is your dream revealing the future? Dreams occur every night, even though you may not remember them. And dreams provide all kinds of information to help you in your daily activities. Not interested in a lot of psychological mumbo jumbo? You can learn to interpret your own dreams, using a style that takes advantage of your zodiac sign. Put astrological resources to use in the interesting world of your unique dreams! You don't need to get ready or get set. You just go, Aries! Use that initiative to penetrate the mysteries of your dream life. Lucid dreams -- dreams in which you take conscious control in the dream -- are your natural stock in trade. As you go to sleep, affirm that you will actively choose how to participate in your dreams. Confronting a scary dream character or situation will help you to face fears in your daily life. Naturally practical, you want to find good uses for your dreams. No problem. As you begin to record your dreams, you will find consistent themes running through them. Among the dependable characters and images you also find unusual factors that capture your interest. Pay attention to unusual characters, symbols, or actions in your dreams, and be sure to record any physical sensations you have upon awakening from the dream. Alert and generally open-minded, your approach to understanding your dreams includes the assumption that most dreams have a friendly quality. Even difficult dreams provide answers to questions that come up during the day. You may be impatient to understand your dreams, or you may only spend a moment or two thinking about a dream when you wake. With a little experience, you will become quite the story teller as you record your lively dreams. Because you tend to go with the flow of life, you often seem to know what is coming up without having to think about it much. When the flow meets an obstacle, your dreams can become a valuable guide. You suddenly note that the action of your dreams is more compelling than the content. You will recall the feelings you had in your dreams with greater ease when you add dreams to your journal on a regular basis. You have a powerful decision-making process that provides a comfort level as you attend to work, family or recreational matters. But sometimes you are not certain what to do. Your dreams offer valuable messages from your inner self and suggest options. Persistent characters that appear in many dreams are trying to steer you in a certain direction. While you're awake take time to meditate and dialogue with the people or animals in your dreams to clarify their messages. Animal dreams can provide vivid symbols that synchronize with your intuition. Although you focus on details and logic when awake, in your dreams you sometimes experience a bewildering “forest” of bizarre characters and images. This is your psyche speaking to you in the metaphorical language of dreams. Don't expect to sort dreams using logic alone. Sometimes dream insights don't correlate to facts until much later, yet your dream images have the compelling ring of truth. Your dreams provide two very real kinds of support for your waking life. First, they often balance your waking activities by compensating for anything that is lacking. Second, they confirm feelings and decisions, making you more confident of your actions. Dream intuition may steer you in a specific different direction, or you may wake from a dream more comfortable with a decision you have made recently. Either way, your dreams help you develop sound judgment. Change is not your favorite experience. Emotionally you like things to run on an even keel, and change upsets that easy rhythm. 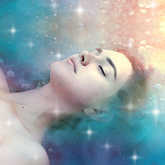 Dreams provide healing messages that carry you through difficult periods of turmoil. They may give you intuitive insight into healing methods, or they help you to maximize any healing technique you use by bringing healing power to the site of a problem in your body or mind. Trusting your dreams means paying attention, recording dreams, and noticing how they affect your waking experience. More than most people, your strong philosophical or spiritual inclinations make it possible for you to have prophetic dreams. Record your dreams to track their messages. You will perceive the connections and learn to understand the forecasts that come to you while you are sleeping. You will discover that your intuition becomes more refined as you explore the meaning of your dreams. The conservative nature you often project during the day bears little resemblance to your sleeping life! Dreams of epic proportions populate your nights. Honor these dreams by recording them. Share them with people you trust. Use images that come through dreams to enhance your work or home environment. Recurring dream images help to clarify the meaning of elaborate stories produced and directed by your dream ego. Where dreams are concerned, you have a remarkable talent for producing metaphysical characters and stories. Dreams support your intuitive processes by offering exotic ideas and symbols for your consideration when you wake up. As you pay attention, you find that your dreams often include spotlighted images, characters, or settings that cue your thinking when you awaken. You may experience sleep disturbances as your intuition develops. If this happens get in the habit of walking in the evening after supper. Spiritual or mystical dream elements provide you with an intuitive window on the future. Pay close attention to unusual or recurring symbols in your dreams, as they provide the information you need and inspire confidence to let go of issues from your past that no longer have significance in your life. When a dream offers an unusual symbol, research it on the Internet or at the library to understand its archetypal nature more fully.